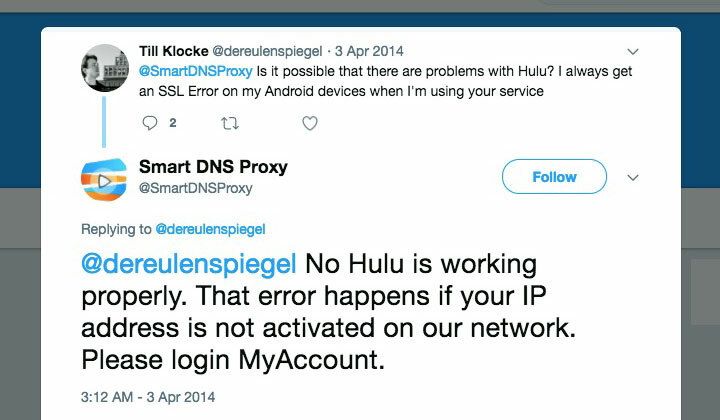 I’ve written this guide on using Smart DNS Proxy to watch Hulu — anywhere in the world by circumventing the US location restriction, with fast streaming. Plus, introduce better but pricier alternatives worth considering! Just want to try out watching Hulu? Click here to get a free Smart DNS Proxy trial without credit card! The fastest way to streaming the video on demand service Hulu in Canada and any other country outside the US is with Smart DNS technology. And the most affordable such service with fully fledged Hulu streaming support is Smart DNS Proxy. This means, that it works reliably despite Hulu actively trying to block VPN providers, Smart DNS services, proxies and other circumvention methods. In case the service is blocked, Smart DNS Proxy fixes any issues or problems ASAP. Smart DNS Proxy supports a wide range of TV channels and video streaming sites, and you can find a full list of supported websites per country here. Smart DNS Proxy does have a bigger learning curve than using VPN. But especially if you are located further away from the US, streaming is so fast that it’s worth it. And one of the strong points with Smart DNS Proxy is their quality, round-the-clock tech support as most beginners will likely need help at some point. It’s quite likely the the problems you are facing, or if Hulu is not working are caused by a misconfiguration. Just use the live chat, or drop them a message on Twitter. Also Smart DNS Proxy provides easy installation instructions for every device they support. And the list is long! From Smart TVs to Set-top boxes and consoles on top of regular Smartphones (iPhone, Android, etc) as well as Mac & Windows. According to my experience, there is no other provider cheaper than Smart DNS Proxy that can match their level of service. However, there are much easier solutions for watching Hulu from outside US and abroad. 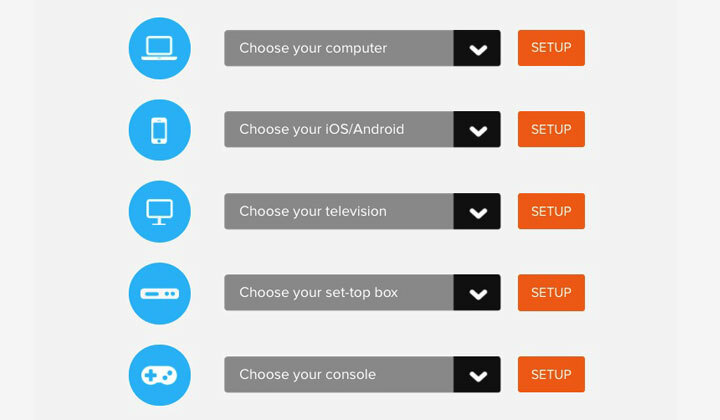 For undisturbed streaming of Hulu, one needs to choose their VPN provider with care. Getting block and slow speeds are the usual problems. One click, super-easy connection client for all devices. Vast range of rotating IP addresses so Hulu can’t catch up on ExpressVPN users, for reliable streaming. Quality VPN infrastructure dedicated on speed. 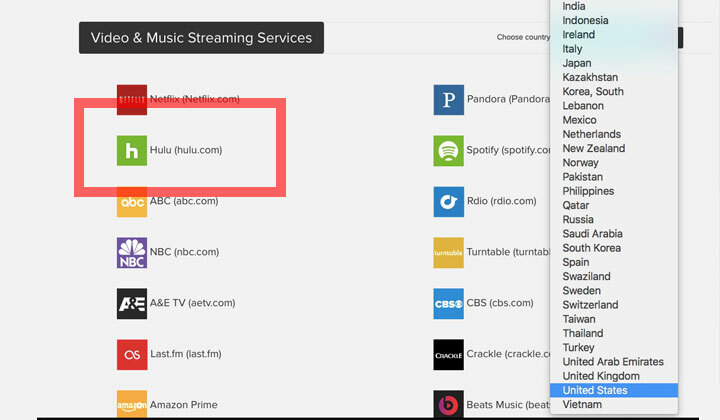 Official Hulu support with block monitoring. Obviously they are not the cheapest VPN but nothing is more annoying than a video stream that gets cut off in the middle of watching. Something you risk with anything less than ExpressVPN. So I highly recommend paying a bit extra for VPN. If you want the benefits of Smart DNS Proxy but as easy to use as a “one-click” VPN, look no further than SmartyDNS. They support Hulu and provide a connection client where you can turn the Smart DNS on and off whenever you need to. It’s likely the most advanced and easy-to-use provider there is. With Smart DNS Proxy you end up having the settings ON all the time, and routing all DNS requests through their servers. As it’s too much trouble to adjust the settings manually. Which is not something desired by those interested in online security. And that was my take on circumvention Hulu US country location restrictions with Smart DNS Proxy. Questions are most welcome! Note; A portion of links placed within these posts, reviews, etc. are affiliate links which support my blogging habit which has become my second job. My biggest, most sincere thanks for your voluntary and appreciated support! David.